Ascending Butterfly: Do you have tired or hot feet or legs? Check out the Soothing Therapy Energize Leg Gel from @thymematernity! Do you have tired or hot feet or legs? 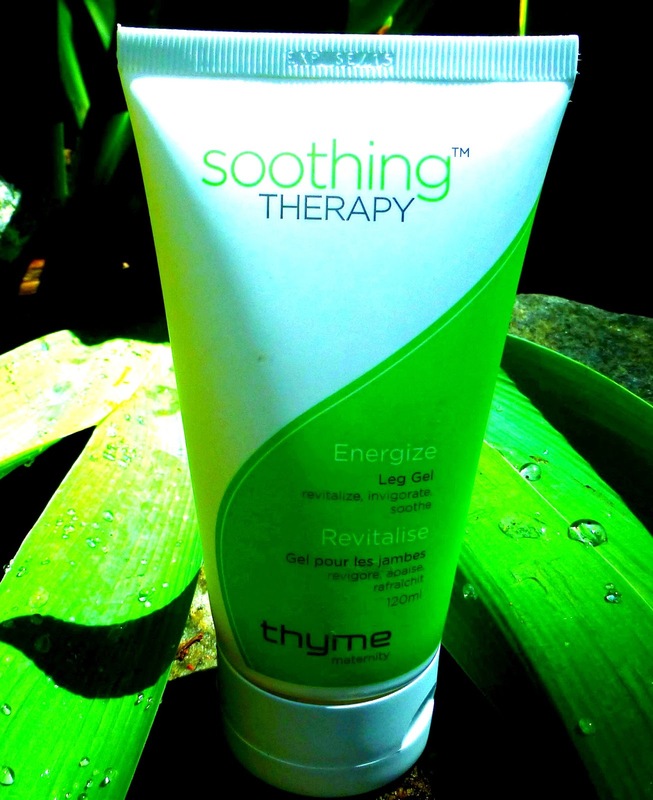 Check out the Soothing Therapy Energize Leg Gel from @thymematernity! This year at Getting Gorgeous I got to meet the lovely team at Thyme Maternity, they gave attendees a really cute scarf, but I picked up something at their table that caught my eye, the Soothing Therapy Energize Leg Gel. It's of course meant for pregnant moms to help soothe their hot and tired feet and legs, but ladies this stuff is heaven in a tube even if you are NOT pregnant! I asked if I could try it out, and thankfully they said yes. I have super flat feet and my legs and feet are always tired and hot post Gym and post subway rides. Anyone that has used the MTA in the summer knows that air conditioning on the platform NEVER happens and sometimes in the train itself you will hit on a car or an entire train that has no air on. And during the summer that's a huge EWW! The Soothing Therapy Energize Leg Gel comes in a tube packaging. It advises you on the tube that for a more cooling effect you can store this in the fridge, but I can tell you it's cool, soothing and invigorating on it's own for my legs and feet post Gym in a way that I've grown addicted to! The Soothing Therapy Energize Leg Gel comes in Biodegradable Packaging and is NOT tested on Animals! No butterflies, I am NOT a mom and I am NOT pregnant, but I do have hot and tired feet at the end of a long day, and this Gel has certainly been the perfect remedy! I don't store mine in the refrigerator because I find it cooling enough on application on it's own, so for me that extra step hasn't been necessary. I put some on my feet and legs before I go out and it helps keep me cool when it's hot and muggy out, and I love this post gym! So don't be afraid to try something just because it's seemingly intended for an entirely different demographic! Thyme Maternity may cater to moms and moms-to-be, but this is so great post workout I think they should sell this to Gyms, Yoga Studios and Spas! What is your favorite remedy for hot and tired feet and legs? FTC Disclosure: No monetary compensation has been received, Thyme Maternity provided a sample of the Soothing Therapy Energize Leg Gel for editorial consideration. All opinions are 100% my own. See our Giveaway and Disclosure Page for additional details on our disclosure policy.